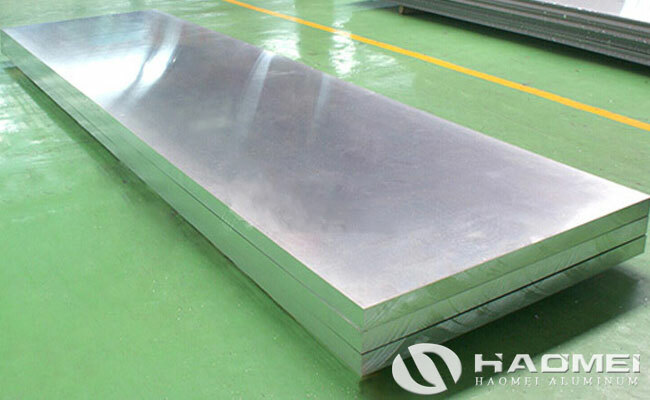 5454 aluminum sheet plate is one of the 5000 series aluminum dominant products of Haomei. Haomei has leading technology and the aluminium sheet 5754 produced by Haomei can adapt to bad corrosion environment. 5754 aluminium alloy is a typical anti-rust aluminum with high strength, about 20% higher than that of 5052 aluminum sheet plate. Its characteristics are roughly the same as 5154 aluminum alloy, but the corrosion resistance in a vicious environment is better than that of 5154 aluminum sheet metal. The 5454 aluminum plate is widely used in automobile, aluminum tank car and other fields. The tempers of 5454 aluminium sheet are O, H12, H14, H16, H18, H19, H22, H24, H26, H28, H32, H34. Typical product of 5454 aluminium sheet plate are pressure vessels, marine facilities pipes, car wheels,oil tanks body and so on. The ultimate tensile strength is more than 215 MPa, the conditions yield strength is more than 85 MPa, the elongation is more than 10%. 5454 with other 5000 series aluminum alloys are anti-rust aluminum applied in marine and other industries. Therefore, we focus on the quality to meet customers demands, aluminum sheet cut to size is available in Haomei. Any need please contact us to get reply and answers please!